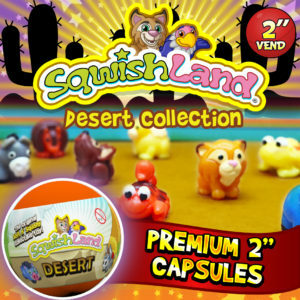 The 2” Premium SqwishLand Desert is one more great line from our classic SqwishLand series. 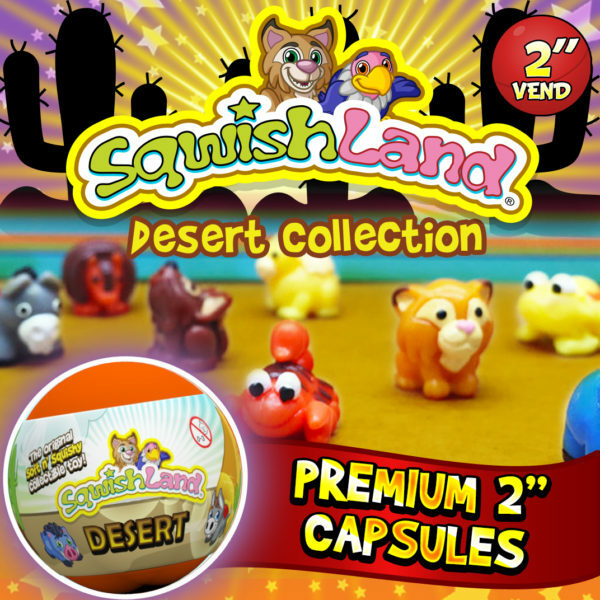 Each capsule contains 2 Desert region SqwishLand toys. 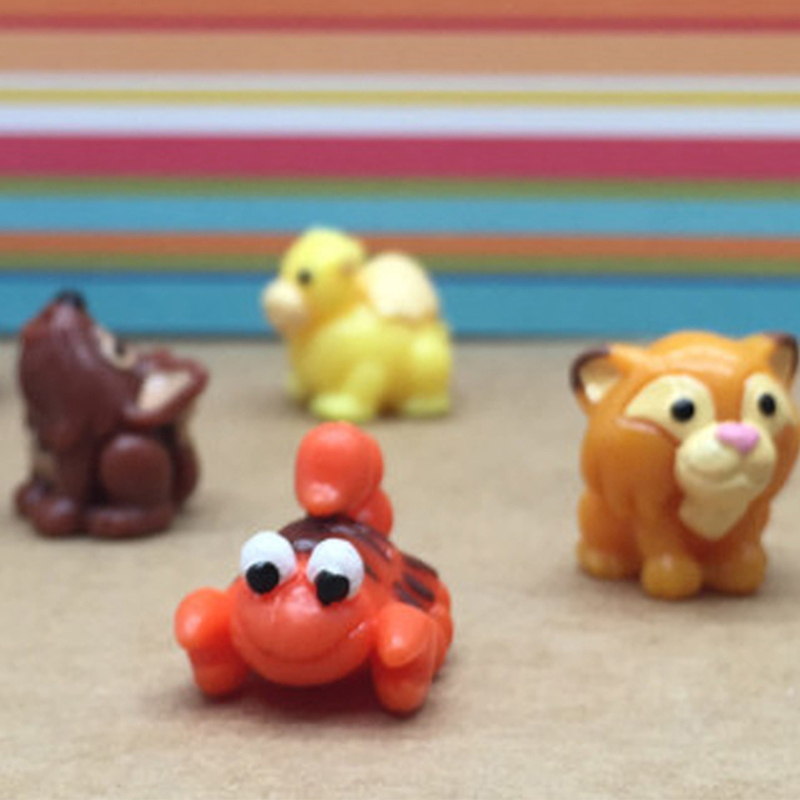 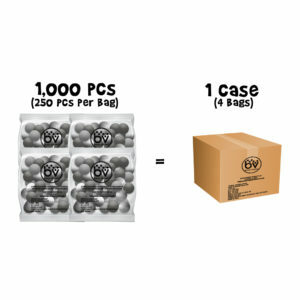 All new molds include 10 different characters and there are many paint styles and colors to collect! 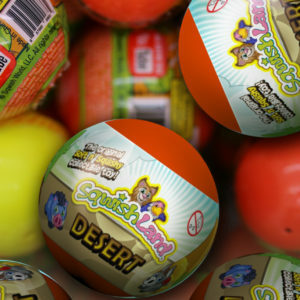 Eye-catching fully colored capsule wraps on vibrant multi-colored capsules look simply amazing in your vending machine!